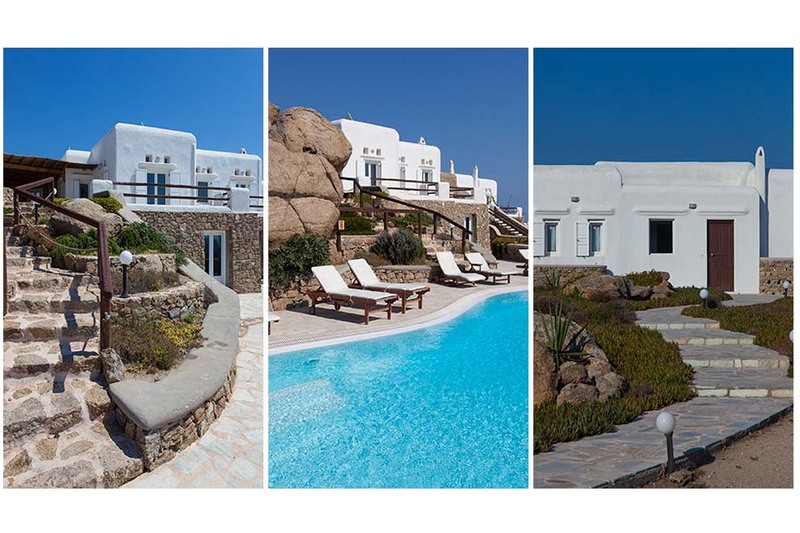 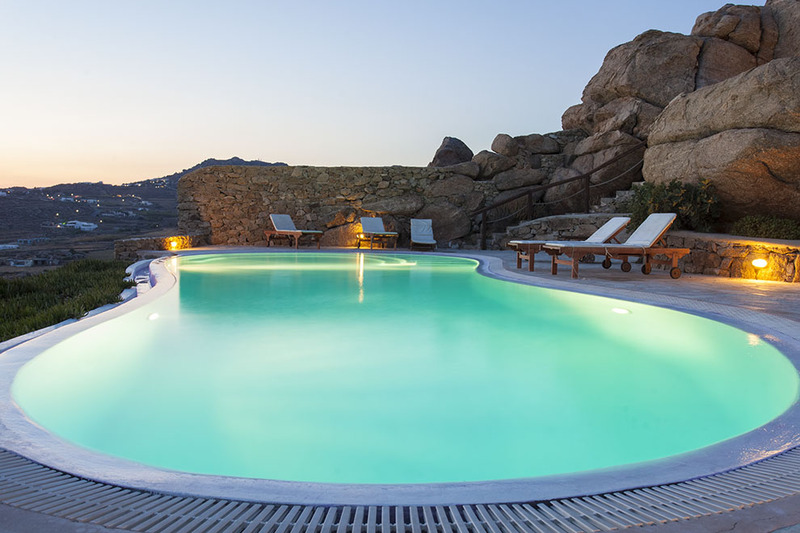 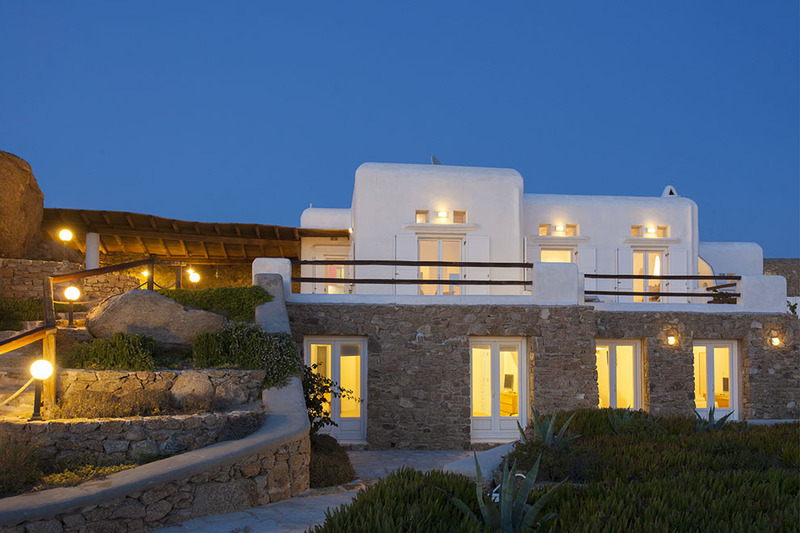 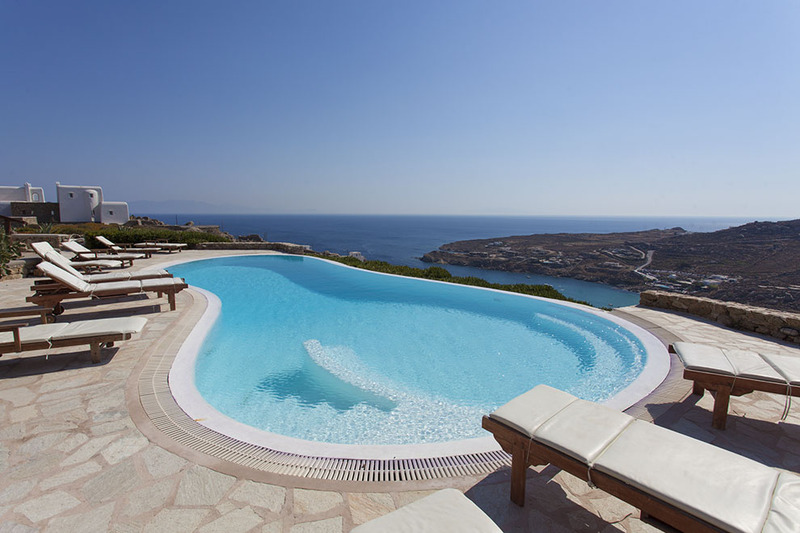 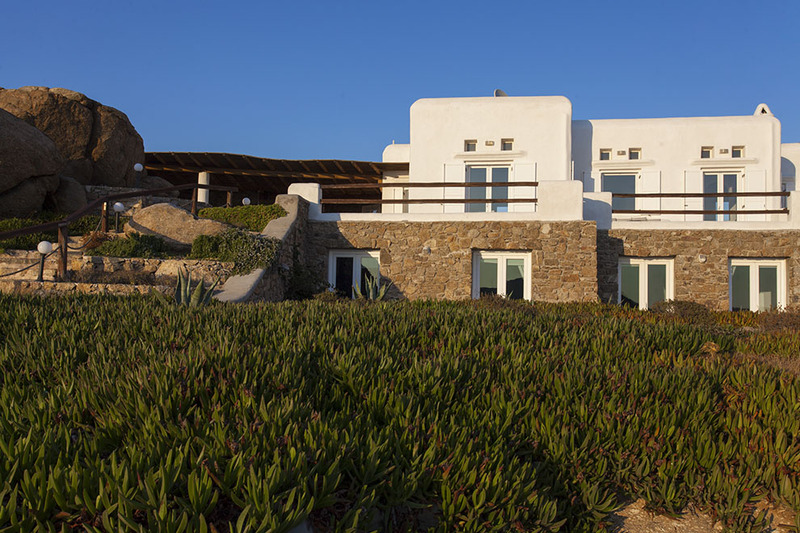 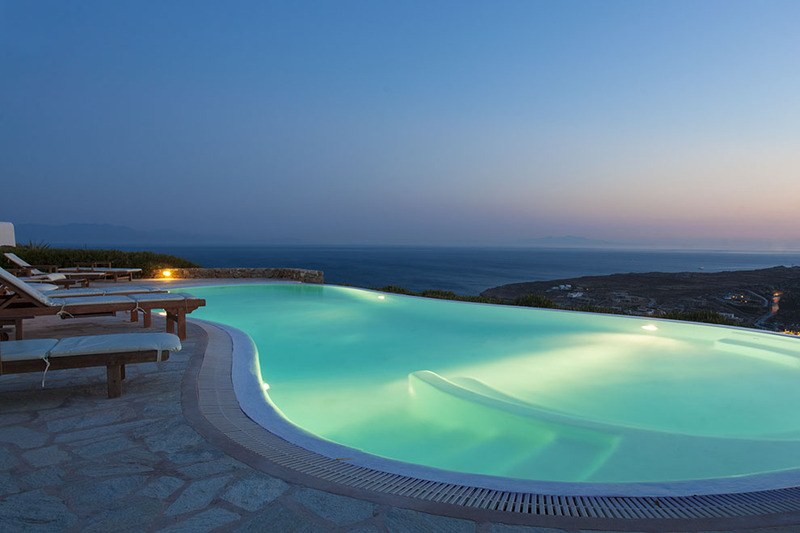 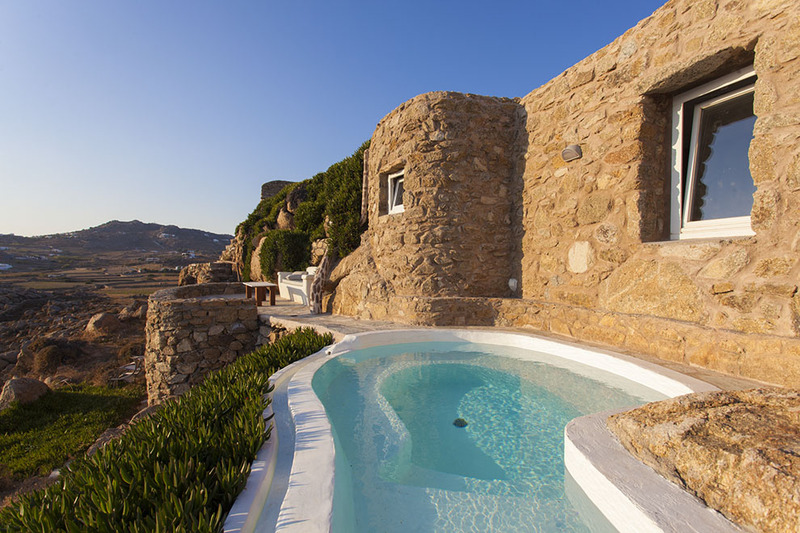 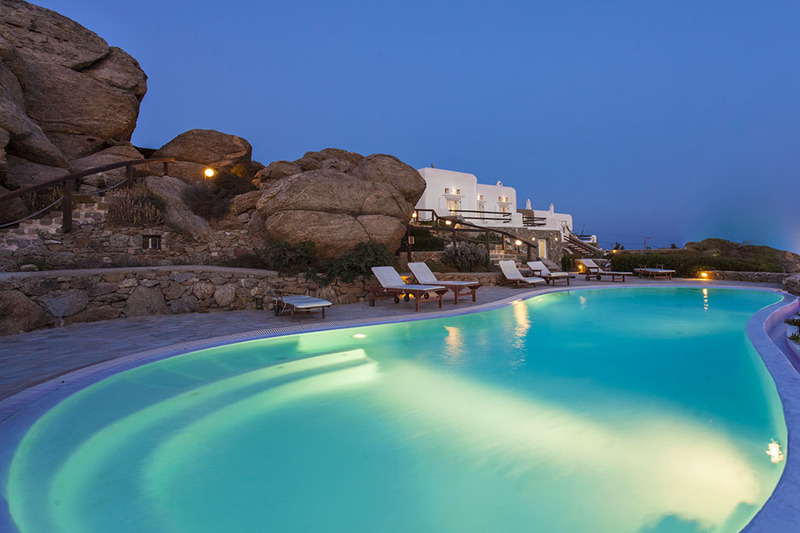 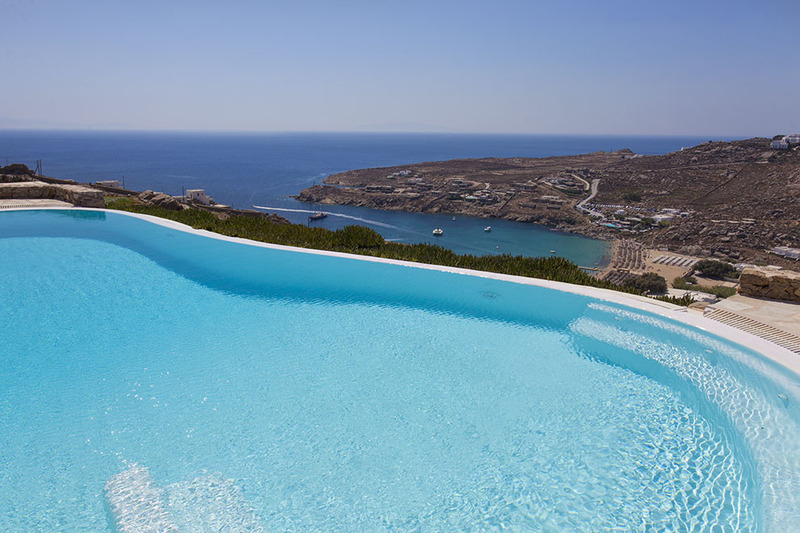 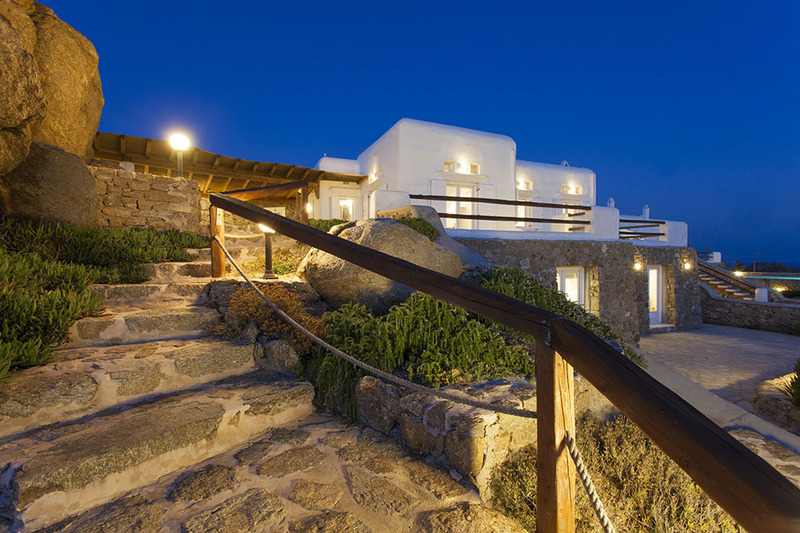 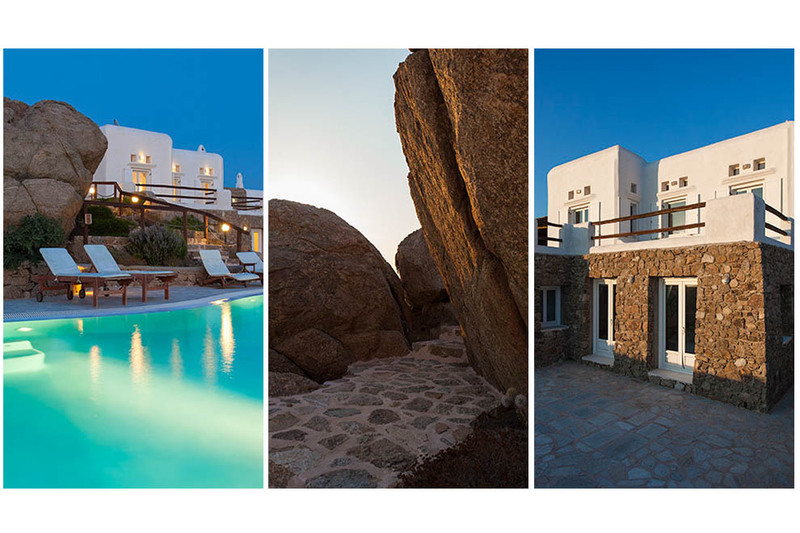 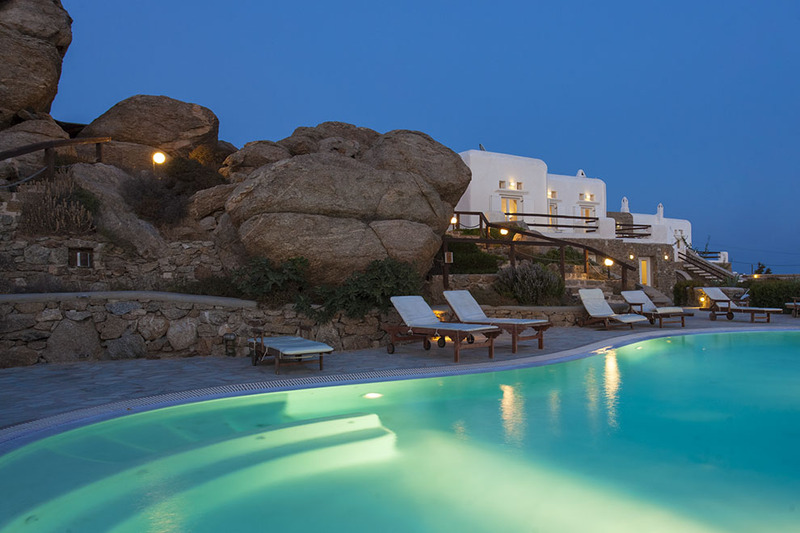 The “Heaven” complex is in the south of Mykonos, specifically close to the famous “Super Paradise” beach. 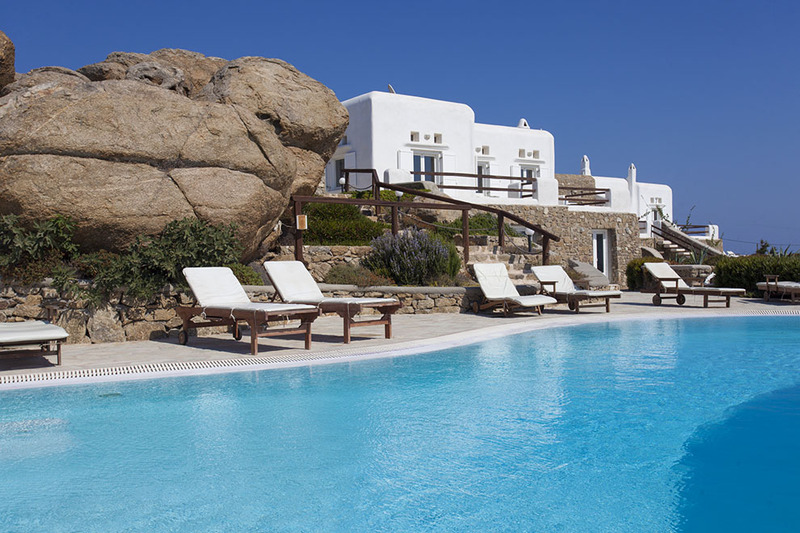 It is built on top of the left side of the gulf enjoying the panoramic view of this ravishing beach with the emerald green waters and the endless blue of the Aegean. 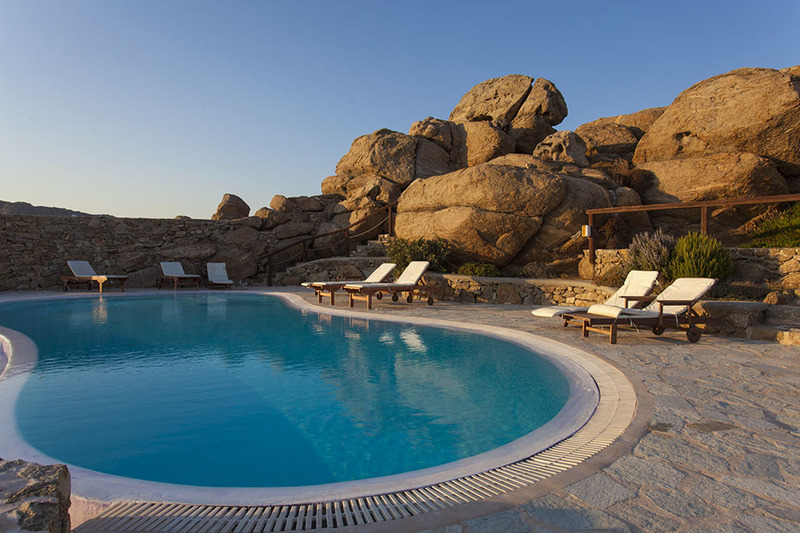 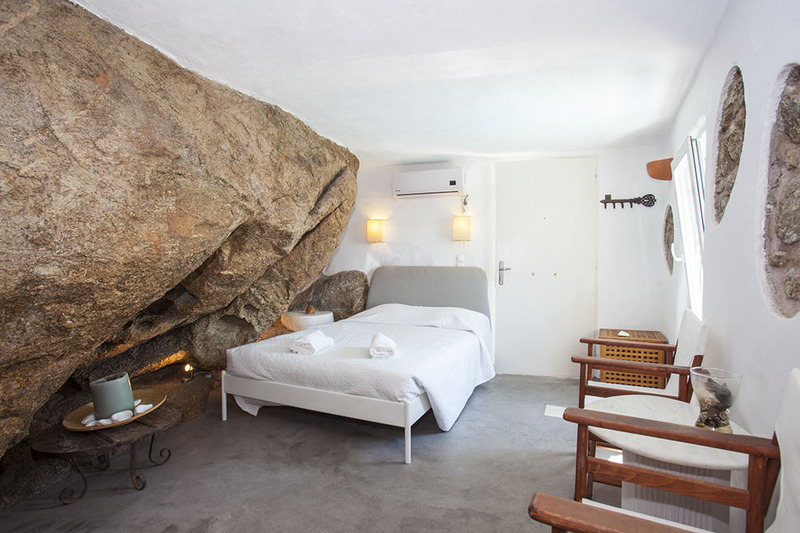 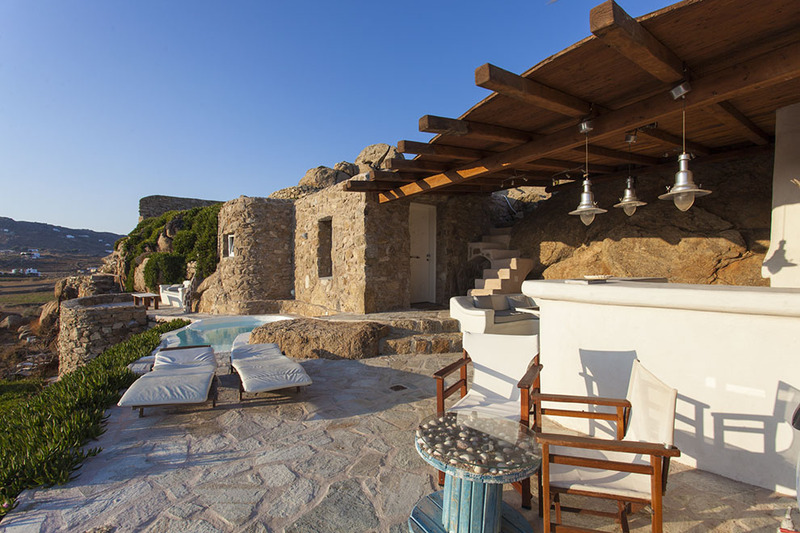 Comprised of three villas, “Heaven One” is in the right hand corner of the complex, fully harmonized with the natural beauty of the massive rock formations. 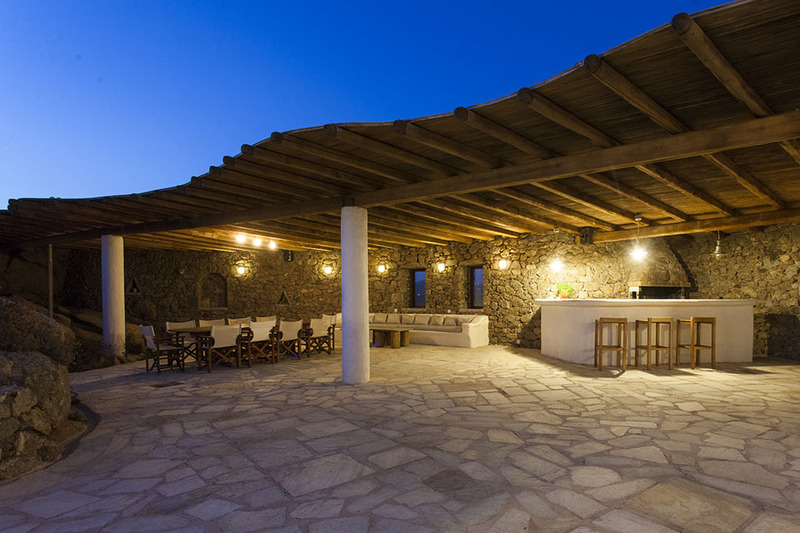 The grounds are uniquely arranged with pergolas, providing shade over the large built–in settee, the open-air dining room, the BBQ and the bar. 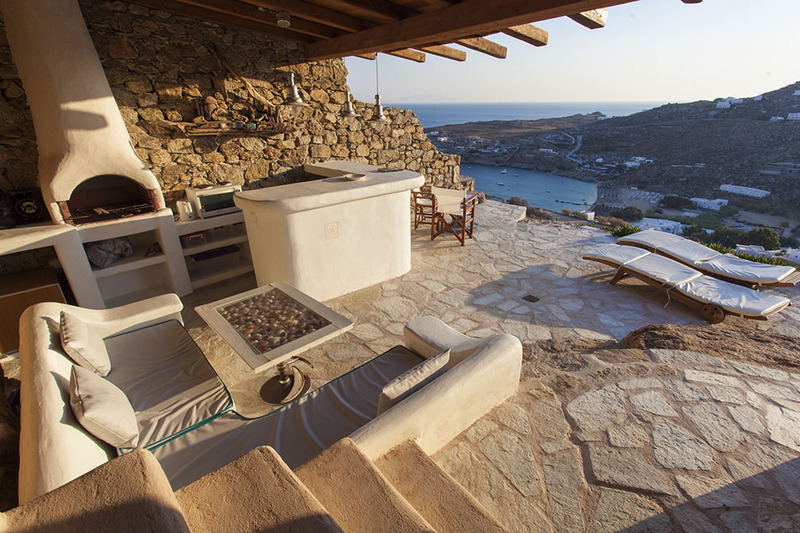 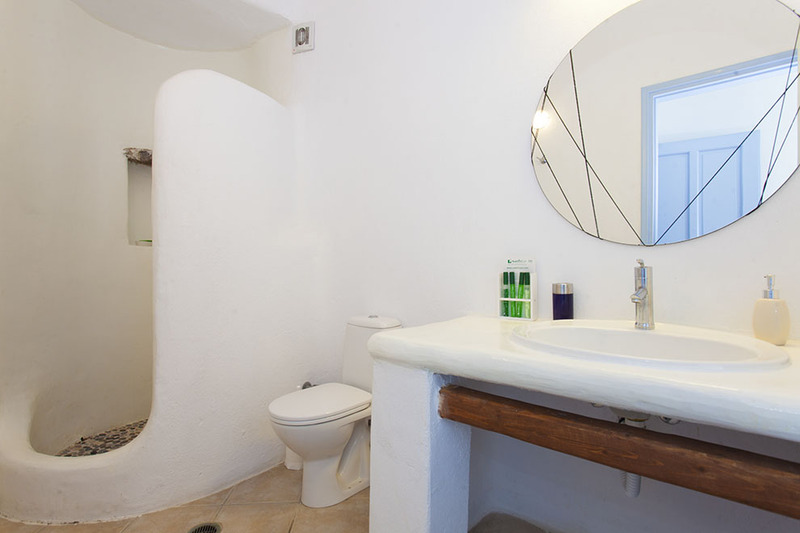 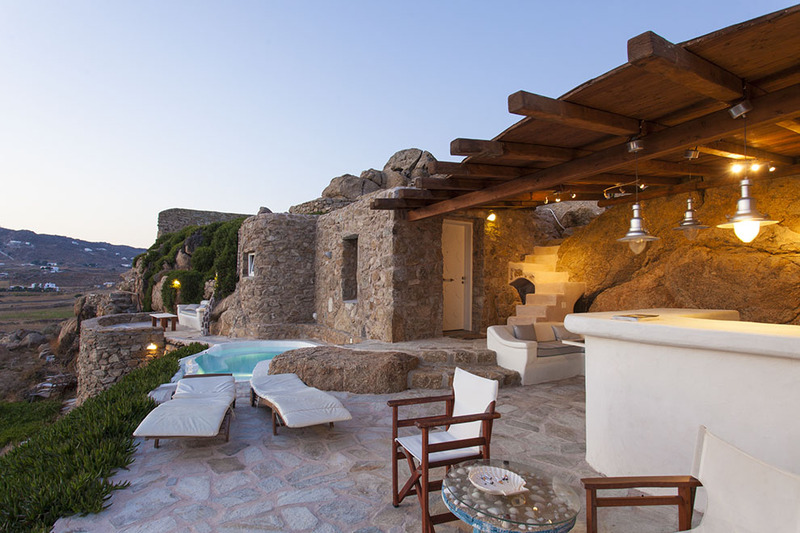 There is complete privacy without limiting the superb view of the Aegean. 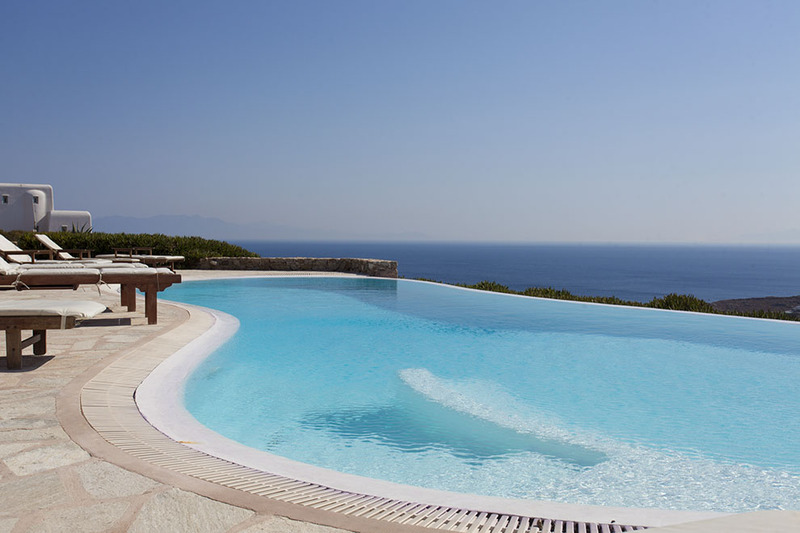 Steps lead to the swimming-pool area, which is most ideal for sunbathing and unwinding. 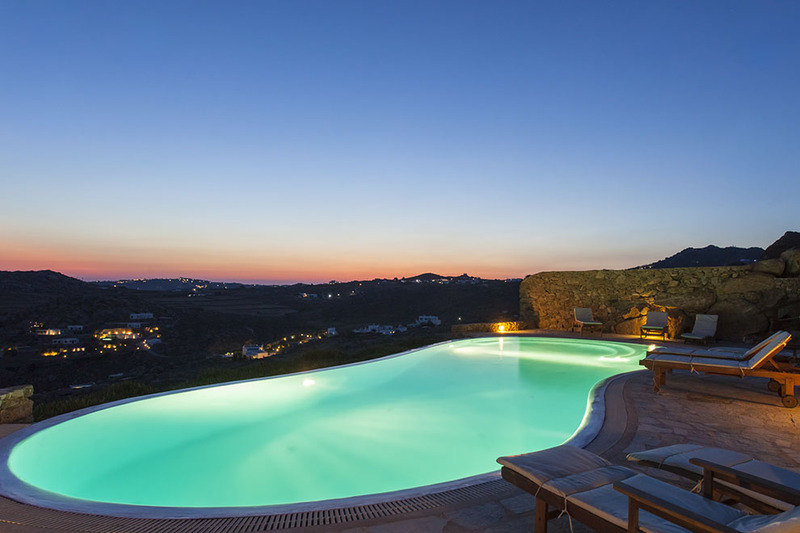 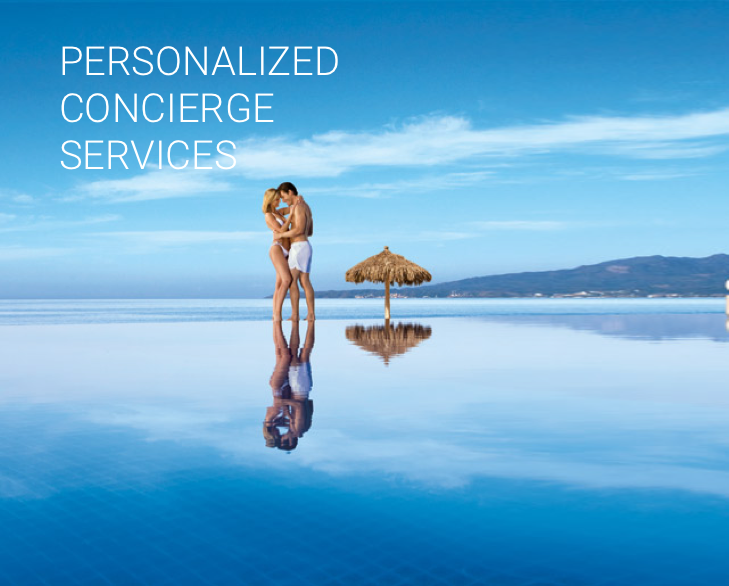 The combination of the seating and pool areas comprises a most unique ambience for entertainment and recreation while looking out across the infinite blue of the Aegean and is ideal for gathering during the day time or a cocktail party in the evening. 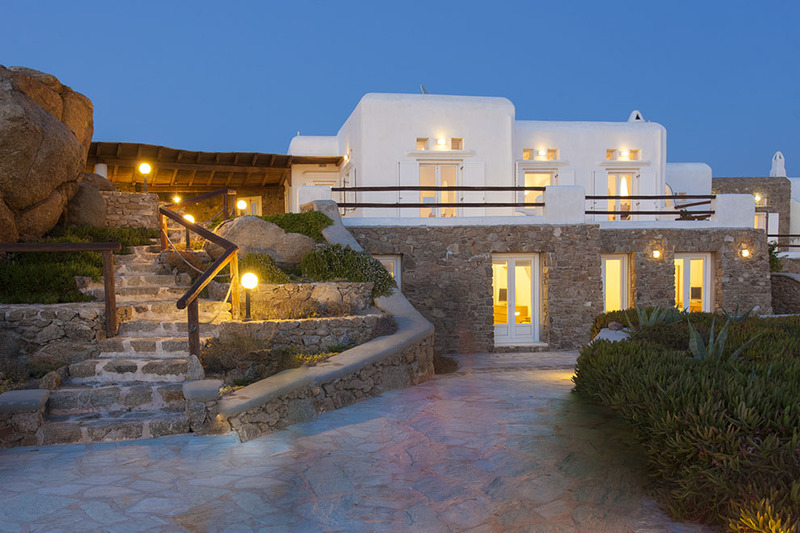 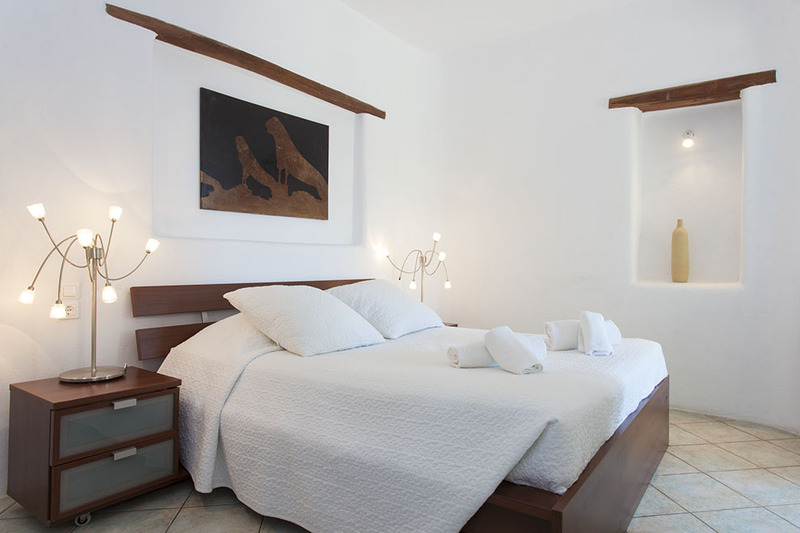 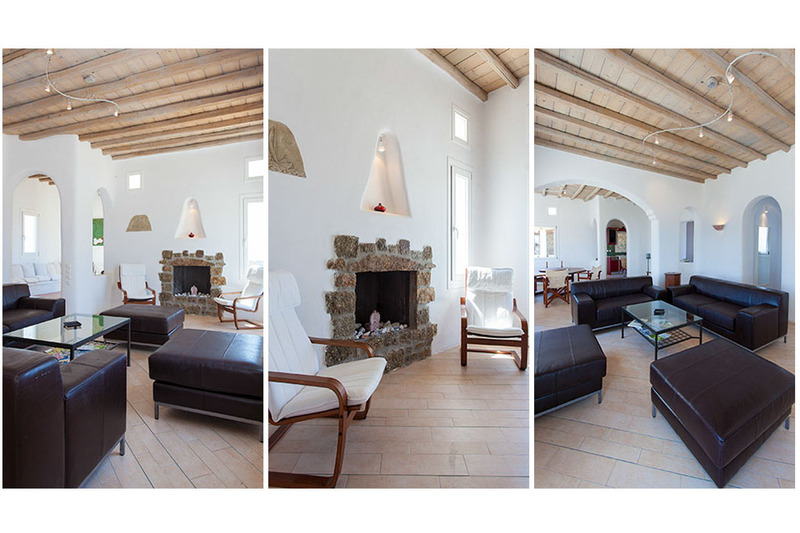 Villa “Heaven One” provides full privacy and easy access to the sublime “Super Paradise” beach. 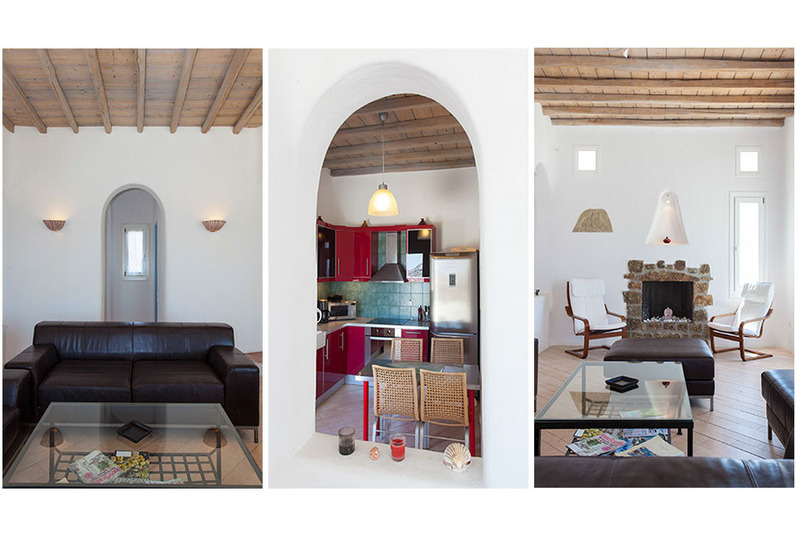 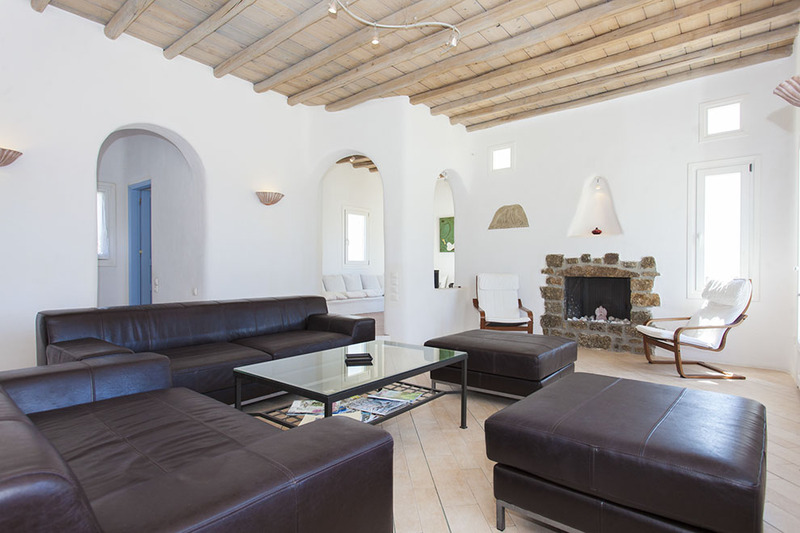 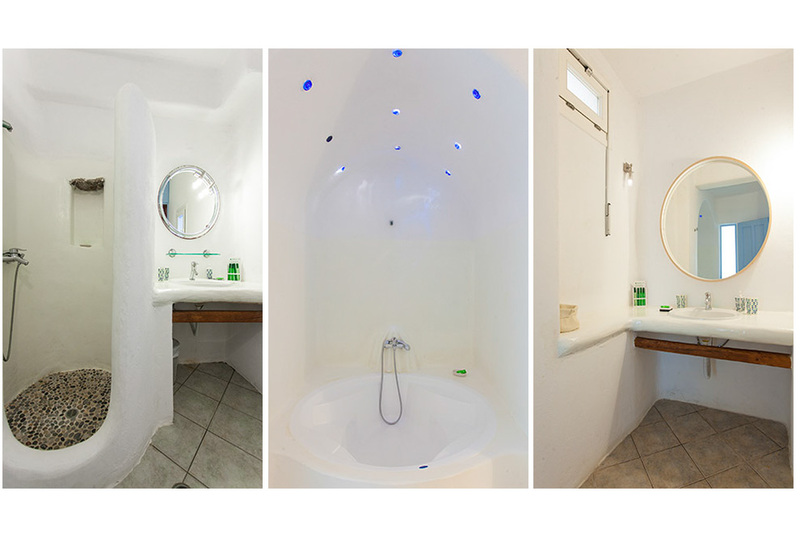 The rental of this villa can be combined with the other two villas of the complex, “Heaven Two” and “Heaven Three” so as to meet the demands of larger groups.